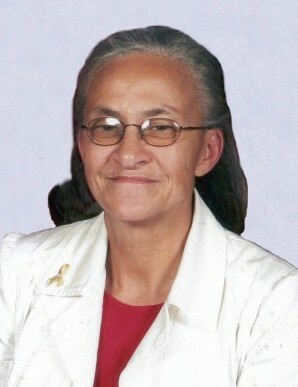 Mrs. Kathleen Bullard Clark age 65 of Maxton, North Carolina was born on June 1, 1953 to the late John Willie Bullard and Harriett Locklear Bullard in Robeson County, North Carolina. She departed this life on Tuesday November 20, 2018 at her residence. Along with her parents she was preceded in death by three brothers Ricky Bullard, Jacob Locklear, Sam Brooks, one sister Claretta Chavis. She leaves to cherish her memories her husband Jeff Clark of the home, one son Ray Bullard of Maxton, North Carolina, one daughter Karen Lee Bullard of Maxton, North Carolina, three brothers Joseph Locklear, Rocky Locklear, and John Willie Bullard all of Maxton, North Carolina, six sisters Unellar Rogers, Daphia Carol Bullard, Virginia Lowery, Helen Faye Jacobs, Judy Bullard and Lisa Bullard all of Maxton, North Carolina and a host of other relatives and friends.